But he can be defeated! Jair Bolsonaro’s election to the Brazilian Presidency represents a profound threat to the interests of the working class and oppressed in Latin America and is a warning of the need to combat the far-right politically. A misogynist, racist homophobe, he has been called the ‘Trump of the Tropics’. In reality, he poses a more profound threat even than Trump, partly because his own politics are more extreme but also because of the recent history of military dictatorship in the country (ending in 1985), remnants of which are still very much alive in the armed forces and other state institutions. Bolsonaro himself served in the military under the dictatorship and has praised its record, although he has said that it made a mistake in only torturing and not killing some of its opponents. He has a fanatical and ideological hatred of the left and has threatened the “cleansing” of “30,000 red bandits” from Brazil – ie, trade unionists, socialists and other activists. He combines proto-fascist practises with a deeply pro-capitalist, neo-liberal economic programme. The victory of this reactionary, however, does not represent an embrace of authoritarianism by the majority of Brazilians. Rather, Bolsonaro was elected because he was seen as offering change. He posed as having solutions to crime, corruption and the economic crisis which hit the Brazilian economy in 2014. In reality, he has nothing to offer except violence and repression and a continuation of attacks on the poor, but – similar to Trump – many saw him as a welcome change to the status quo. Bolsonaro’s rise was born out of economic and social crisis but also the failure of the mass forces of the left. The formerly radical Workers’ Party (PT) ruled Brazil from 2003-2016. The party broadly embraced the capitalist ‘free market’, although using the proceeds of an unsustainable commodity boom – based upon exports to China – to fund some limited progressive reforms. 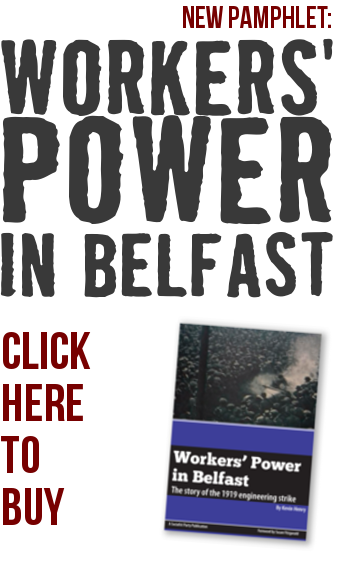 The capitalists were willing to tolerate the PT in the boom years, believing they could keep the working class in line. When the boom ended and movements independent of the PT began to take to the streets, they were removed from office through a parliamentary coup. In the Presidential election, the PT attempted to convince the ruling class they were a safe pair of hands who wouldn’t threaten capitalist interests. They failed but, in doing so, also alienated further sections of workers and poor. This assisted Bolsonaro in his attempt to pose as the candidate of change, even though the capitalist establishment swung decisively behind him as the campaign progressed. 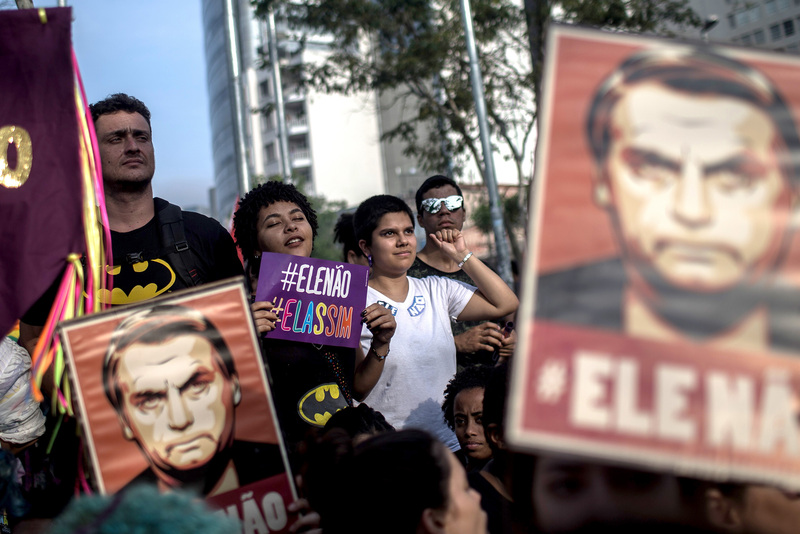 Bolsonaro’s victory can embolden fascists elements who are already murdering left activists, ethnic minorities and LGBT+ people and can open the door to an assault on democratic rights, particularly on the workers’ movement. A united front of the left, trade unions and social movements is needed to resist every attack. The Brazilian working class has shown its ability to fight, as in the 40-million strong general strike against austerity in April last year. But this must be connected to the building of a new, revitalised mass party of the left, armed with a socialist programme which can bury fascism and the rotten capitalist system in which it grows.